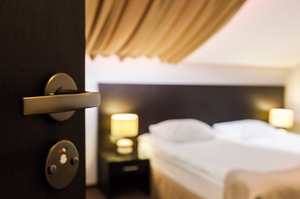 Access1Source helps hotel boost their bottom line with automated scheduling and more efficient time and attendance tracking. The Bayside Hotel and Resort is a 135-room, 5-story complex which includes a hotel, two restaurants, and a small business center. There is no “typical” day for The Bayside Hotel, and they count on a diverse workforce to handle a wide range of guest requests at every hour of the day. To keep an otherwise hectic operation running smoothly, Bayside faces staff challenges that range from last-minute sick leave to schedule changes to last-minute overtime. With their reputation resting squarely on their capacity to serve visitors with personal attention, workforce management is a leading concern at Bayside. Their ultimate goal; improve customer service without increasing labor costs. The management staff had been struggling to find an employee timekeeping and scheduling system that eliminated understaffing, could be modified on the fly, kept all parties notified about scheduling changes, tracked data for DOL compliance, and made sure that time cards were turned in on time to the payroll service. For Bayside, this was no easy task with so many diverse departments including hospitality, housekeeping, maintenance, and operations. In every department, managers needed reliable data to create scheduling strategies that eliminated waste while maintaining an exceptional standard of service for their visitors. Bayside needed a hotel employee scheduling solution that would meet scheduling objectives while offering greater flexibility for team members and less busy work for supervisors. The Workforce Management Suite time tracking tool, TimeSource Plus, started delivering benefits during the very first pay cycle. With mobile access built in, TimeSource Plus allows staff members to clock in/out on their mobile device wherever they are—whether they work in housekeeping, guest services, security, or maintenance. Because the PunchLogic feature dramatically reduces missed and duplicate punches, time card accuracy has improved substantially. TimeSimplicity has revolutionized the scheduling process for Bayside managers and employees. It delivers supervisors smart tools for easy, hassle-free scheduling and empowers employees to take over many tasks previously done by managers. Bayside managers are amazed at how simple it is to develop, save, and adjust recurring schedules. TimeSimplicity for simplified scheduling and mobile coordination. TimeSource Plus for integrated time and attendance tracking. Employees and management enjoy the automation and centralization of scheduling operations. Employees place schedule requests to the Virtual Trade Board and view which additional shifts they may pick up. Once a manager has confirmed a schedule change, TimeSimplicity alerts the employee; eliminating endless phone calls, texts, and emails. 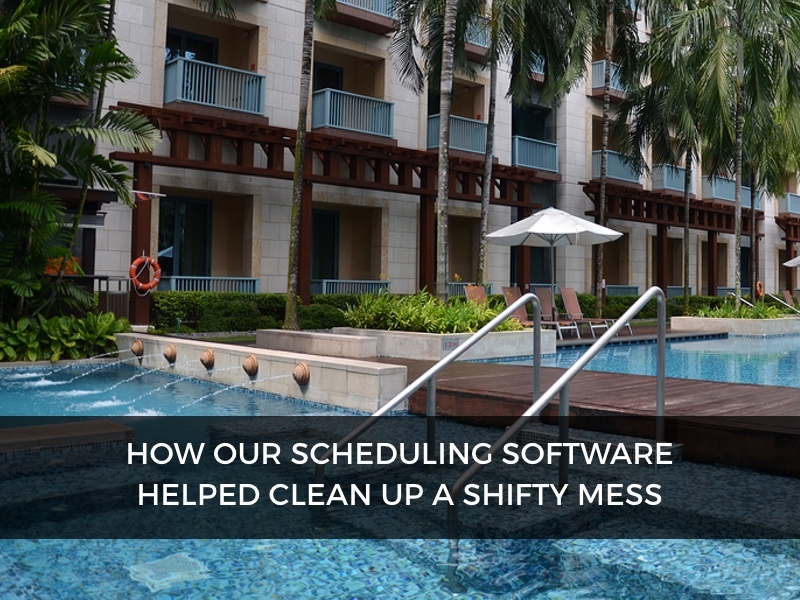 TimeSimplicity has reduced under-staffing which has accelerated room turn-around, shortened front desk guest wait times, and boosted staff efficiency. Employee hours are controlled with customized system alerts and there are nine pay-rate fields and employee groups/sorting/filtering functions to give every department supervisor scheduling accuracy. Workforce Management Suite is the same system used by Hilton, Embassy Suites, Ramada, Sheraton, Holiday Inn and Marriott to save time, curtail labor costs, and maintain regulatory compliance. Access1Source offers Workforce Management Suite, the powerful, fully-integrated Workforce Management Suite that makes it easy to optimize the performance of your supervisors, employees, and business. Workforce Management Suite includes TimeSource Plus, TimeSimplicity, and TimeWorks Mobile. Workforce Management Suite is created for busy employers like you who need to streamline scheduling, automate time and attendance tracking, maintain regulatory compliance, and decrease labor costs.